A guide to the best things to do with a toddler in London for under £5. If you fancy a trip on a bus without paying for an open top bus tour, the RV1 bus from Tower Gateway to Covent Garden has been described as ‘one of the best routes for sightseeing on a budget’. It goes from London Bridge along the south side of the river past the London Eye to Covent Garden taking about 30 minutes. It’s a great alternative if you think your toddler would like a trip on a bus but you don’t think they will sit still through a long tour. Alternatively, The Routemaster Number 11 bus runs from Fulham to Liverpool Street past famous toddler friendly landmarks such as Big Ben, Downing Street and Trafalgar Square. Cost – Under 5’s Free, Adults only £1.50 a ride with your Visitor Oyster card. 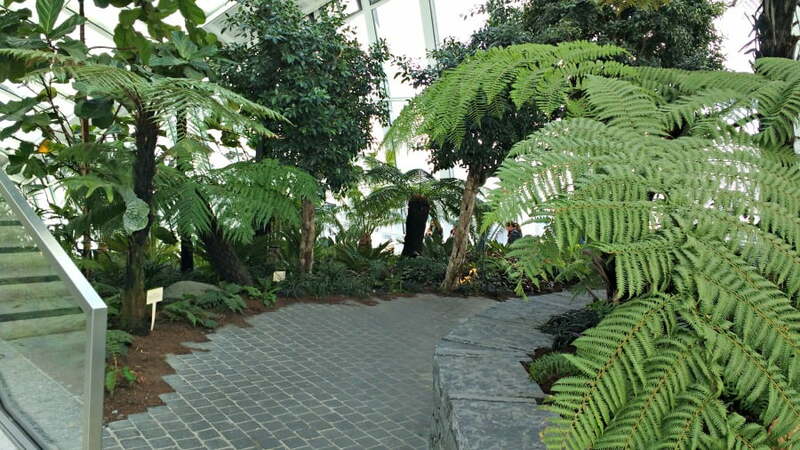 Get the lift to the top of 20 Fenchurch Street and let your toddler explore London’s highest public garden. There are 360 degree views of the London skyline, gardens to run around in and a café where you can buy cakes and pastries. Cost – Free, but you need to prebook. Tickets are available to book 7 days in advance. 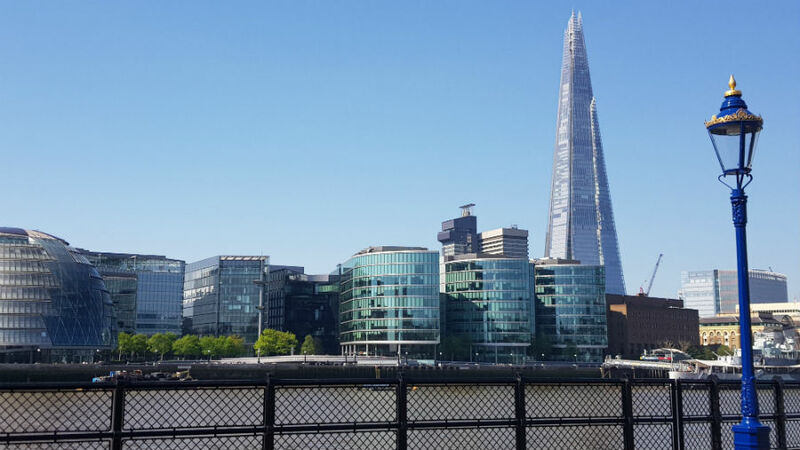 A great buggy friendly walk with loads to see along the way is from Tower Bridge right up to the London Eye alongside the river. The walk is about 2 miles long so bring a buggy in case your toddler gets tired, but the path is fully pedestrianised and there are plenty of places to stop off on the way. 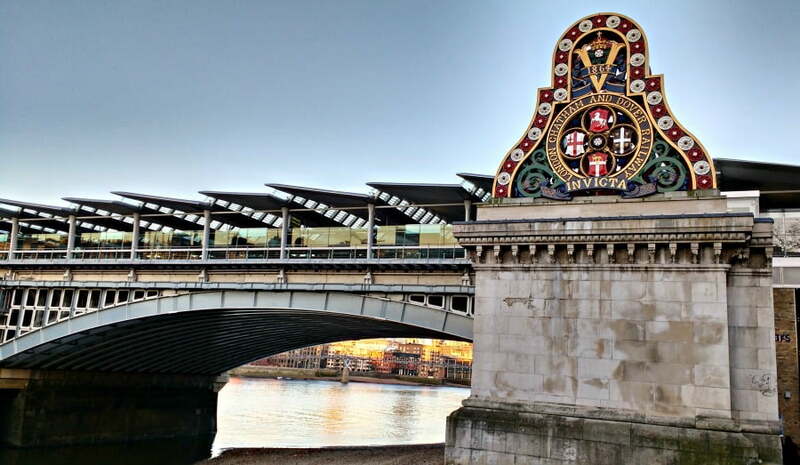 On the way, you will go past the Tate Modern, Millennium Footbridge, Shakespeare’s Globe Theatre up to Southbank and the Royal Festival Hall. There are great views of the river itself as well as across the river to St Paul’s Cathedral, MI5, Big Ben and the Houses of Parliament. The Southbank is an entertainment centre on the south of the river where the London Eye, London Dungeons and London Aquarium are located. There are loads of street performers such as magicians and singers, as well as restaurants and cafes with fab views across the river. 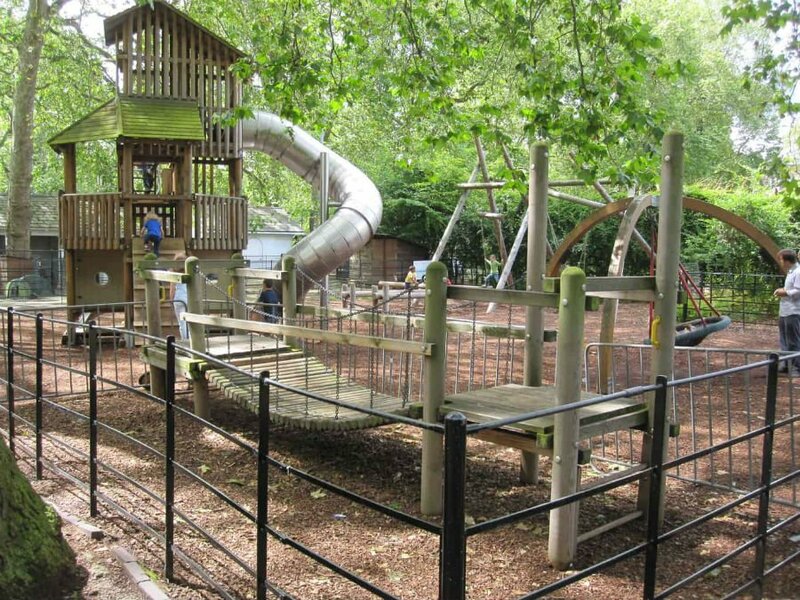 Just behind the Southbank is the Jubilee Gardens where toddlers can let off a bit of steam. There is a great adventure playground and lots of grass for a picnic and play. The Science Museum has sections specifically for preschool children. The Garden is an interactive gallery based around water, light, sound and construction where toddlers can learn about floating, sinking, shadows and reflections. The Pattern Pod is a multi-sensory area for children aged under 8, which encourages children to recognise and copy patterns. 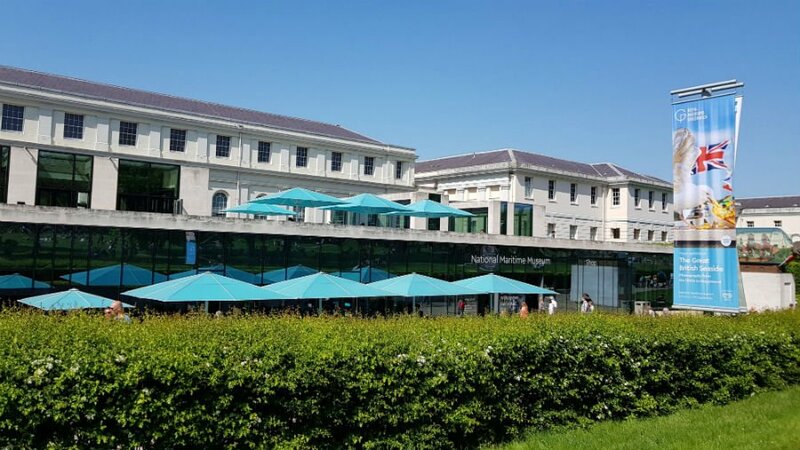 There are also other interactive galleries at the Science Museum which you have to pay extra for including the Red Arrows flying simulator which is suitable for 2 – 5 year olds. Cost – Free, but donations welcome. This enormous museum has lots for children of all ages, but there is plenty for toddlers and younger children too. The Dinosaur Exhibition is up a flight of stairs but once you are up there you can see a life sized, moving T-Rex. The Investigate area has loads of specimen trays with insects, bones, shells and animal skins to touch and feel, as well as microscopes for smaller children to use. There is also a Treasures Collection with items for toddlers to touch with stories underneath to explain what they are. There are seasonal activities and exhibitions too such as the Tropical Butterfly house (payable extra) running until September 2018. 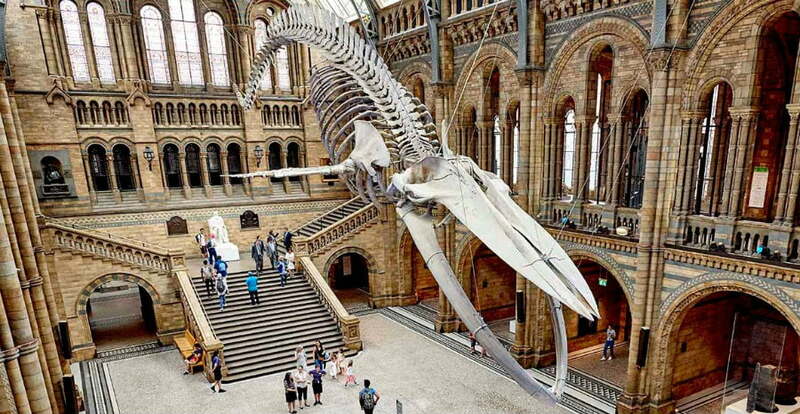 Download the NHM app beforehand to help you make the most of your visit. Another British institute, the British Museum has 80 000 items on display including Egyptian mummies, the Rosetta stone and pharaoh’s. There is a Free Family Trail for 3- 5 year olds which takes you on a fascinating journey around the museum. The trail has 8 themes to choose from and each one takes 30 – 40 minutes – perfect for a toddler’s attention span. Under 5’s can also borrow an Alfred The Explorer activity backpack which can take up to 90 minutes to complete, and can be used in any area of the museum. You can also borrow art materials (pens, pencils, colouring books etc) too. 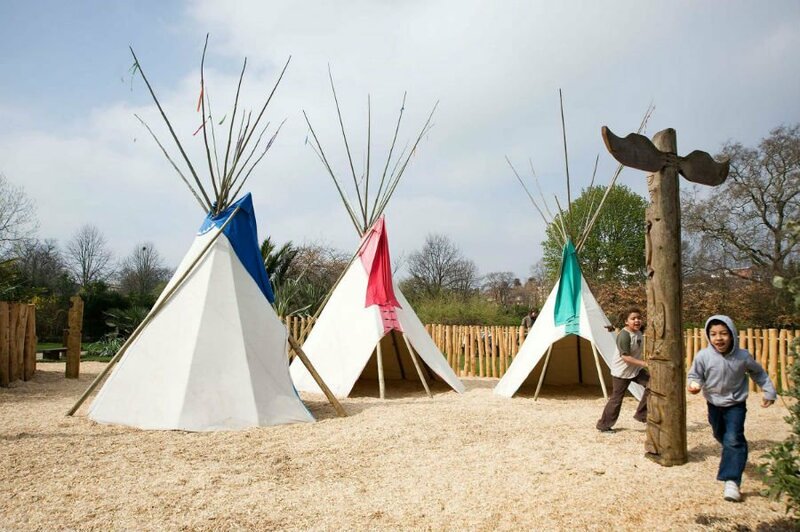 Located next to Princess Diana’s home, the Diana Memorial Playground has a huge wooden pirate ship, sensory trail, tepee and a beach set against a backdrop of trees and plants. There are also lots of seats for parents too. The playground is open all year round, but you may have to queue to enter during busy times. The Tumbling Bay Playground in the Queen Elizabeth Olympic Park is another great place for toddlers to have a run around. There are rock pools, sandpits, treehouses, wobbly bridges and swings and slides at this excellent playground in East London. The playground is built in a real, natural environment that encourages children to experiment and take risks in a safe environment. There is also a community centre and café with home cooked food and drinks. Pedalos are available to hire in the summer. Don’t miss the snaking pathway of coloured fountains outside the Stadium! Hackney City Farm is a real farm minutes away from central London and its skyscrapers. The farm is fairly small, but has a range of farmyard animals including goats, sheep, chickens and donkeys, as well as smaller animals such as rabbits and guinea pigs. As a city farm in London, they are dedicated to helping people learn about food, nature and the environment. There is a café onsite and you can buy fresh eggs from the shop. Cost – Free, but the farm is a charity, so donations are very welcome. Coram Fields is a unique 7 acre park and playground near to Kings Cross with adventure play areas for Under 5’s, a sand and water play area, a few small animals and a paddling pool. Cost – Entry is free, but there is a Café onsite. Greenwich Park is part of the UNESCO Greenwich Maritime World Heritage site which includes the National Maritime Museum and Old Royal Naval College. It is also one of the Royal Parks. Toddlers will love running around in Greenwich Park – especially climbing to the top of the hill to get great views of the city. If you are coming from central London, you can also combine this with a trip on one of the boats which make their way down the River Thames to Greenwich. Staying in Greenwich, the famous Maritime Museum tells epic stories of exploration and endeavour. There is a brilliant children’s galley for 0 – 7 year olds where children can stoke the boiler of a steamship, weigh an anchor and play in an interactive boatyard. Plus there is a great family friendly café too. Costs – Free to watch the changing of the Queen’s Life Guard, but the entry costs for the Household Cavalry Museum (Adults £7, Under 5s free). The Ritzy Cinema in Brixton is one of south London’s oldest picture palace which has managed to retain some of its original grandeur. They run Kids Clubs at 10.30am on Saturdays showing films for £2 each. A handy option for a rainy day or for when you need to chill out between attractions. The Lido at Hampsted Heath is uncovered and unheated, so is definitely one for hot, sunny days! However, the whole experience of swimming outside is one not to be missed. There is even a paddling pool for younger children. Cost – £4.50 for children. The Museum of London has free interactive galleries exploring the history of London from when the Romans lived there. Toddlers can navigate their way around the museum using the Under 5s Explorer Backpacks filled with games, toys and puzzles to use in the galleries. The museum also has free monthly Baby and Toddler sessions with fun, stimulating activities for them to play and learn. The pelicans were first introduced to Green Park in 1664 as a gift from the Russian Ambassador, and today there are over 40 pelicans living there. 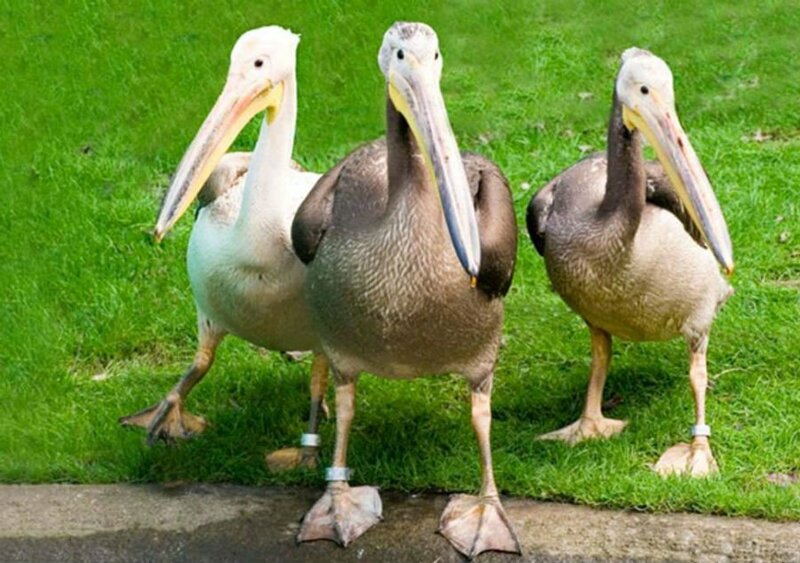 Toddlers will love seeing the most famous pelicans, Louis, Vaclav and Gargi sunbathing on their favourite rocks – don’t miss the pelican feeding between 2.30pm and 3.30pm daily. Toddlers can let their imaginations run wild at the UK’s first Story Centre. A day pass includes entry to the Story World and Story Garden where you see tales like The Gruffalo brought to life by Story Builders. There are also storytelling sessions and family exhibitions which you can book onto. There is also a picnic garden with great play equipment, an indoor sensory room, creativity station and dress up clothes. The Centre for Wildlife Gardening in Peckham, south London is an idyllic wildlife haven tucked away in a quiet residential street. There are lots of habitats including four ponds, a chalk bank, wildflower meadow, woodland copse, herb garden and a mini beast hotel. Visit throughout the year for regular family friendly events such as Nature Tots, arts and crafts and storytelling – check out the website for more info. 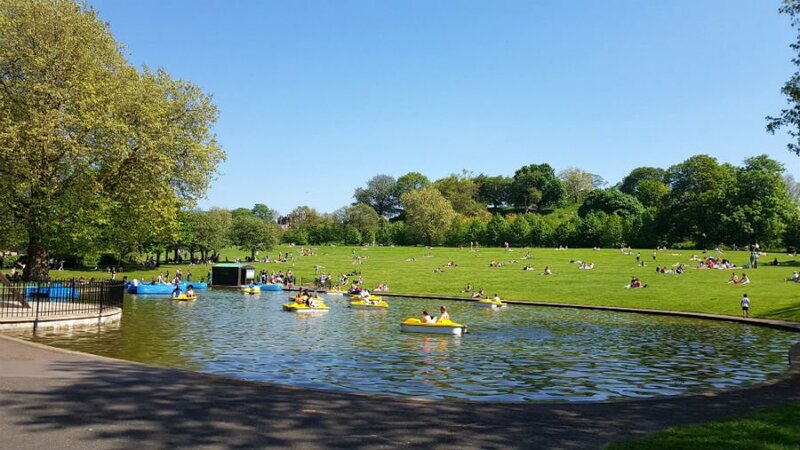 Take a walk along the canal starting in Little Venice, admiring the barges and feeding the ducks before stopping off at Victoria Park where you can play in the playground and refresh yourself at the Pavilion Café. Have you got any ideas about things to do in London with toddlers? Please let me know if you have any to add. Hi, I stumbled across your blog while looking for ideas for fun indoor things to do with my 3-year-old when we take a trip to London next month. This was so helpful! I’ll have to plan a few more trips to fit in everything! Thank you!